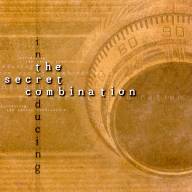 The Secret Combination is a world class country-rock band from The Netherlands that includes Forum member Johan Jansen. Their music is intelligent, original country-rock in the tradition of Eagles and Flying Burritos. The lyrics, which are all in English, are included in the liner notes. It's a 7-piece band, but there's still plenty of steel to be heard, and Johan is a very good player. There are several more reviews in this Forum Topic. 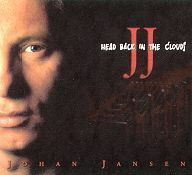 "Head Back in the Clouds"
With this project, Johan Jansen leaves little doubt that he is one of Europe's foremost steel players. Framed by spectacular arrangements of contemporary instrumentals, JJ exhibits a spectacular tone, perfect attack and uncannily precise pitch control. The material is all original, written by the CD's executive producer, Case Schafrat. The rich, modern arrangements vary in style from dancable R&B to smooth jazz, from bluesy rock to tender ballads, somehow managing to avoid "country" the whole time. A top notch horn section joins JJ on several cuts, and there are guest appearances by American steelers Paul Franklin, Bob Hoffnar and Dan Tyack. A booklet lists the musicians (lots of them!) on all of the tracks, and JJ's copedent and equipment list are also included. The more I listen to this CD, the more I hear. The production is rich and subtle, and JJ's technique is mesmerizing. Bravo, Johan!